Please make sure to bring your completed forms below to your first dental appointment. If you have any questions please call our office at (619) 444-1001. Q: Who can place a dental implants? Do you have problems with your teeth or suffering from cavities? Would you do anything to avoid going to the dentists? 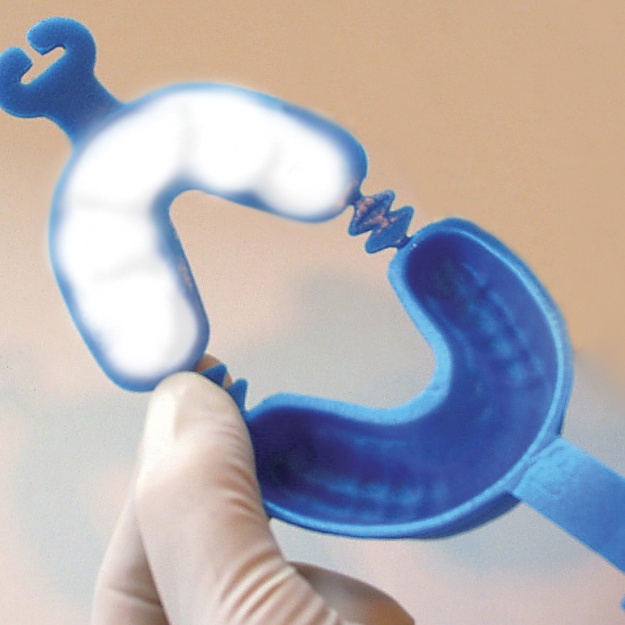 We have a solution for you – FLUORIDE TRAYS! Tooth decay begins when the bacteria and sugars present in the mouth form acids that erode the tooth’s protective enamel. These acids cause minerals to be lost from the tooth’s enamel layer, a process called demineralization. This can lead to the formation of holes (cavities) in the teeth. Research shows that fluoride helps prevent cavities in children and adults by making teeth more resistant to the acid attacks that cause cavities. Fluoride is nature’s cavity fighter, helping repair the early stages of tooth decay even before the decay can be seen. So stop overspending at the dentist! Do PREVENTION first! Fluoride trays are custom fitted plastic trays made by your dentist to be filled with prescription fluoride gel to help control decay and strengthening teeth structures. Fluoride Trays will prevent or control dental decay, or reduce tooth sensitivity. Research shows that the use of these trays and fluoride will prevent new decay almost totally and will slow down currently present decay. Additionally, it will desensitize sensitive tooth root surfaces. However, you must be consistent in carrying out the treatment daily. Patients with decreased salivary flow from medication, Sjogren’s syndrome, or other causes. Patients at high risk for caries. Fluoride trays are beneficial for people of all ages. Children who get adequate fluoride while their teeth are still forming will develop permanent teeth that are stronger and more decay-resistant over a lifetime. Adults who are particularly susceptible to tooth decay will also benefit from fluoride application. Fluoride trays are nature’s cavity fighter, helping repair the early stages of tooth decay even before the decay can be seen. One application should be made before bed each night. Load each tray with about five to six drops of fluoride gel, spacing the drops equally. This is a medication requiring a prescription from your dentist. Leave the trays and fluoride in your mouth for 10 minutes and do not swallow. Remove the trays, wash the trays out with water, and place them upside down in convenient place to let them drain out and dry before the next use. Return to provided storage container. Do not eat, drink, brush, or rinse for 1 hr after use. Occasionally, the trays can be disinfected in a solution of sodium hypochlorite (Clorox) and water. Use one tablespoon of Clorox in about one-half cup of water. Soak them for about 15 minutes. Do not boil the trays or leave them in a hot car as they may warp or melt. Forget the word dentist, cavity or pain! 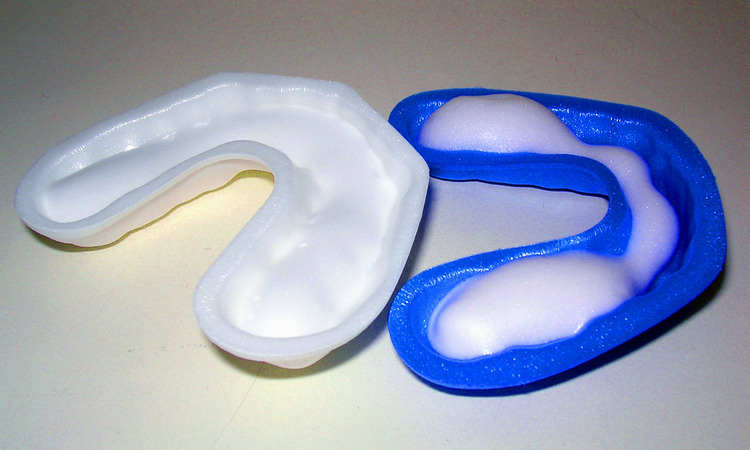 Using FLUORIDE TRAYS on a daily basis will prevent cavities and protect your teeth. All we ask from you is not to forget to smile. ARESTIN (minocycline HCl) Microspheres, 1 mg is an antibiotic periodontitis treatment indicated as an adjunct to scaling and root planing (SRP). Arestin: Fighting infection where it starts. You may have heard about gum disease, also known as “periodontitis” or “periodontal disease.” Maybe a dental professional or hygienist recently told you that you have this infection. But do you really know the difference between periodontal disease and other types of complications that can affect your mouth, such as gingivitis? Most importantly, did you know that periodontal disease is today’s #1 cause of tooth loss among American adults? 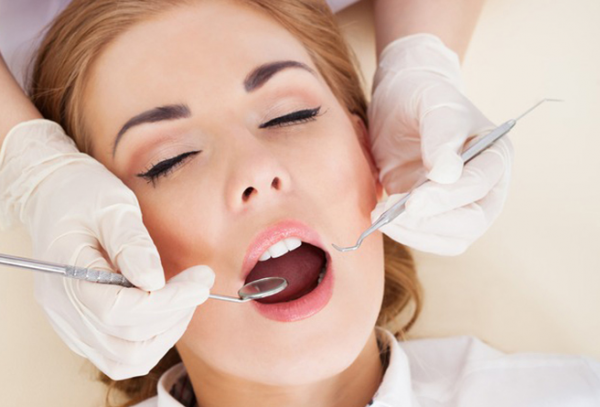 We specialize in Sedation Dentistry and Sleep Dentistry, treating people with dental phobias and anxieties We offer different types of sedation dentistry. These include administering oral sedation, a pill, laughing gas, and intravenous sedation to deliver a combination of drugs. All this depends on the needs of the patient. Laughing gas is the most commonly used form of sedation in dentistry. It is administered by having the patient inhale the gas, which is carefully monitored by your doctor. You will fall into a euphoric state and feel completely relaxed. All feelings of fear and anxiety fade away, leaving you to sit back peacefully while your dental procedure is performed. In most cases all dental work can be completed in one visit while you are sedated. A: If you have anxiety or fear about going to the dentist you are a candidate for sedation dentistry. If you have a fear of pain, have had a traumatic dental experience in the past, or the sounds and smells of a dental office make you nauseous, sedation dentistry can help you get over your anxiety. A: No, but you will be in a deep state of relaxation during your treatment. You will still be able to breathe on your own and communicate, but you will not feel any pain or anxiety. You may not even remember the procedure afterwards. A: Sedation can last from about 2-6 hours depending on the strength of sedative you are given and how long your procedure takes. A: Just about any procedure can be performed with sedation. The sedation is not for the procedure itself, but for the anxiety that accompanies the procedure. Ask your dentist if sedation is available for a particular procedure. Q: Are there any long term effects of sedation? A: No. You will feel a little groggy and “out of it” after some forms of sedation, but after a few hours you will feel like yourself again. You will need to have someone drive you home from your appointment in these cases. A: Yes, at all times during your sedation someone will be with you. We also monitor your vitals to make sure they remain at a normal level. Safety is of the utmost importance to us. Q: How many appointments will I need to complete my dental work? A: In most cases it only takes two appointments. The first appointment will be a consultation to check your health history and make sure you are a candidate for sedation. The next appointment will be to perform the necessary procedures. This can usually be done in one appointment, but may require a follow up visit. A: In most cases it will not be covered by your insurance provider. We will review your insurance coverage and let you know if it is covered or not. If it is not covered, we will let you know the cost and, if necessary, we can put together a financing plan for you. We use digital x-rays, intraoral camera technology, and precis imaging at our El Cajon, CA practice because we believe that it is important to stay up-to-date. In an industry like cosmetic dentistry, each new technological development can potentially change the way we work with smiles. If there is a new procedure that offers patients a better result with less pain than an older procedure, we want to offer it. That’s why here at Dental Arts San Diego we stay current with the latest dental technologies and developments. If you’ve ever tried to hold perfectly still in an awkward position as you bite down on an impossibly rough and tasteless little piece of plastic while wearing a lead vest, then you know that having dental x-rays taken can be uncomfortable. Luckily, technology has found a way to make x-rays easier for patients and actually create better images than what traditional machines produce. Digital x-rays and intraoral cameras, now available in our El Cajon office, make diagnosis much easier and dental x-ray discomfort a thing of the past. 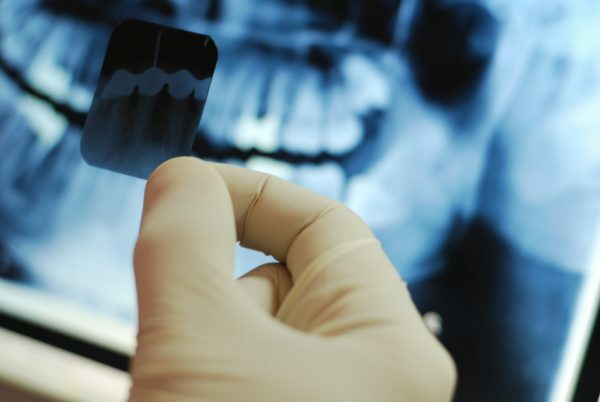 X-Rays for dental are used for general dental check-ups and can detect infection, tooth development for wisdom teeth and many other emergency dental screenings. Digital x-rays use a small sensor on the end of a wire that is placed inside the patient’s mouth and moved into position according to what part of the teeth the dentist wants to x-ray. Then the x-ray is taken and immediately appears on the dentist’s computer screen. Additional digital x-rays can be taken by simply repositioning the sensor and pressing a button. The patient does not need to move, and there is no waiting for the films to develop. 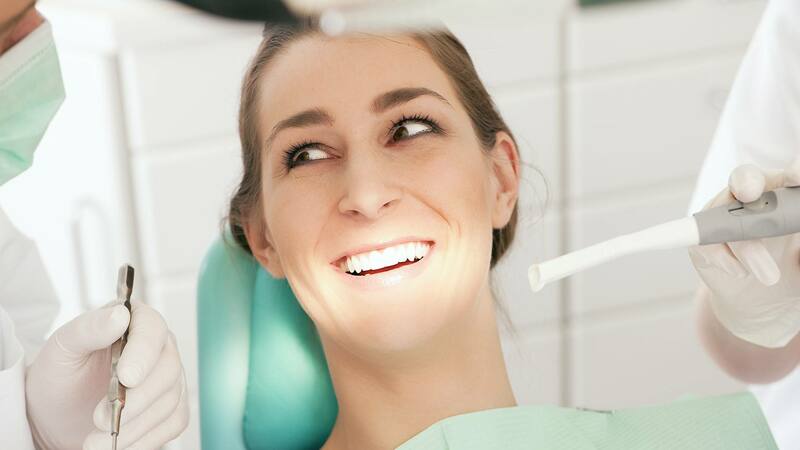 Once the x-rays are taken, the dentist can enlarge the images on the computer screen, which allows both the dentist and the patient to more easily see any problems that may need attention. The images can also be saved in the computer, creating an electronic record that is easy to store, retrieve, and transfer as needed. In addition, there is up to 90 percent less radiation exposure with digital x-rays as opposed to traditional systems. The best way to remedy dental problems is to catch them as early as possible, which is why regular dental checkups are recommended. But no matter how skilled the dentist is or how bright a light he uses, it can be difficult to see well inside of a patient’s mouth. Even with a magnifying mirror, it is possible to miss the often tiny indicators of developing problems. The intraoral camera, used at our Bloomington, Illinois practice, is a technological advancement that makes it possible to not only detect the smallest of details, but also show these tiny defects to the patient and record them for later reference. About the size of a pen and with a tiny lens on the end, the intraoral camera is moved around inside the patient’s mouth, capturing video images that are transmitted to the dentist’s computer. The dentist can then freeze specific shots and examine the pictures of the patient’s teeth and gums, which can more easily reveal the beginnings of cavities, gum disease, or other dental maladies. These images can be enlarged, manipulated, and stored for improved diagnoses and easy record keeping. A: Great teeth and gum care start at home. Brushing and flossing on a daily basis is the best way to take care of your teeth and gums on a continual basis. By keeping to a daily routine you will greatly minimize the risk of gingivitis or tooth decay as you age. Check out our periodontal gum disease page for more information. A: Tooth Whitening is a cost effective and safe procedure to create a beautiful, healthy smile. Over the years, flouride is has been added to the whitening product. This reduces the risk of tooth and gum sensitivity. Tooth Whitening must be monitored by your dentist and only done after a comprehensive exam and hygiene cleaning. The whitening process can last for a number of years if maintained properly. Beverages such as coffee, tea, cola and wine will reduce the lasting effect. Remember, if it could stain a white shirt, it will stain your smile! A: With major advancements in Dentistry and Dental Implants, most people are candidates for Dental Implants. There may be exceptions due to chronic illness, heart disease, and severe osteoporosis. A: Fees from Dental Implants vary from dentist to dentist. 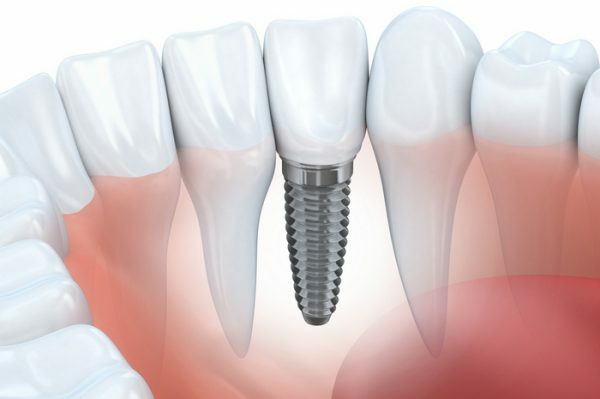 Always schedule an Implant Consultation to discuss the procedure and all fees involved. You will next return in approximately 3 months to begin creating the Porcelain Crown to place over the Implant. 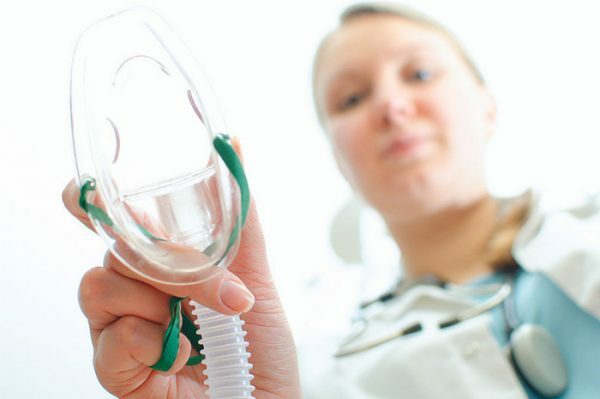 There are a few steps that patients need to take prior to anesthesia. First, you should not eat or drink anything at least 8 hours prior to surgery and refrain from smoking 12 hours prior to surgery. You will need someone to accompany you to the surgery and drive you home after. On the day of surgery, do not wear any jewelry, contact lenses, or dentures. If you regularly take medications, discuss those with the doctor to ensure that they are approved prior to surgery. Other than these simple considerations, there is nothing else you need to do to prepare for surgery. For more information please contact us. 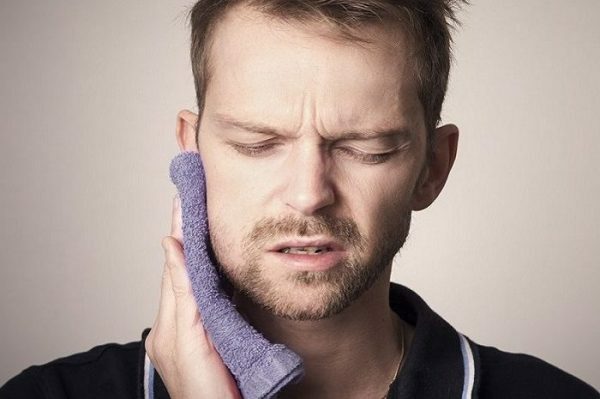 Wisdom tooth extraction is a surgical procedure that requires some post-operative care to reduce the chance of infection or other complications. Immediately after surgery, a gauze pad will be placed over the extraction site, which should not be removed for at least 45 minutes, and then discarded after that. Refrain from drinking from a straw or rinsing the mouth to ensure that you do not dislodge the blood clot that has formed. Limit your activities that day. You can resume your regular activities the following day. Take the pain medication as prescribed to reduce the amount of discomfort you feel after the local anesthetic wears off. As with any oral surgery, refrain from drinking through a straw as doing so creates suction and may disrupt the sutures. 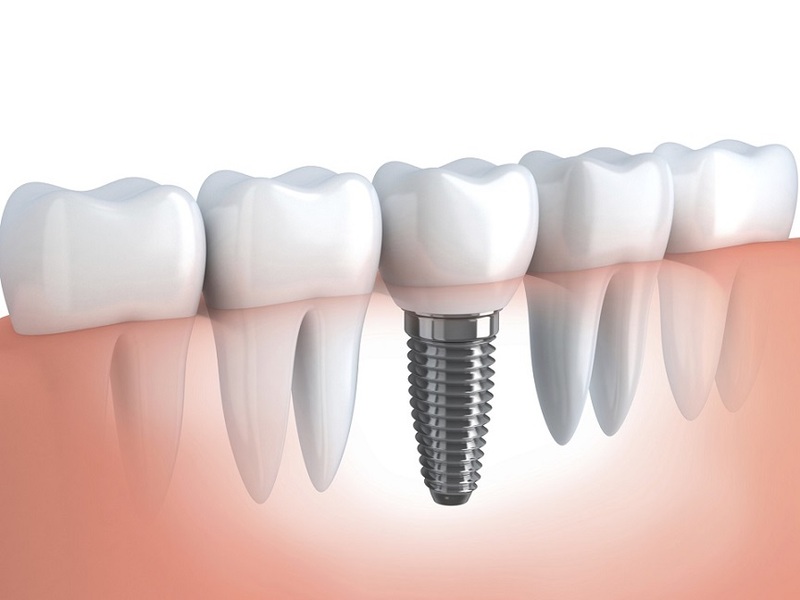 After dental implant surgery, it is recommended that you take at easy for 48-72 hours. Resting assists the healing process and limits after surgery bleeding. Drink plenty of fluids, but nothing too cold. 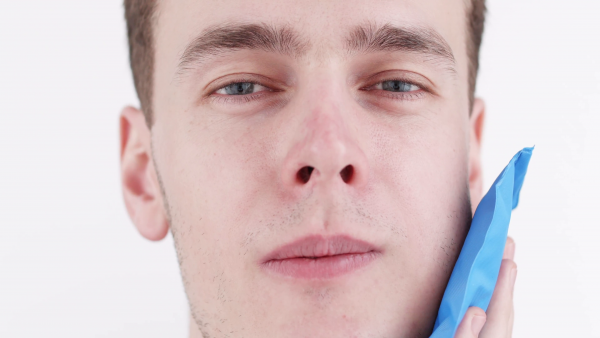 You may need to apply an ice pack to your face in twenty-minute intervals for the 2 days following surgery. If you received upper implants, do not blow your nose for two weeks. It is common to experience slight bleeding for about two days after surgery. You will feel slightly uncomfortable the first two days following surgery, but the third day is generally better. An increase in temperature of about 1 to 2 degrees is to be expected and is not a cause for concern. Finally, while you can eat when you are hungry, do not chew directly onto the bone graft. A tooth becomes impacted when there is not enough room to accommodate the space in the dental arch and growth becomes impossible. After surgery to remove an impacted tooth, mild discomfort and some swelling is expected. This is part of the process and should not alarm you. You may use cold compresses to alleviate the swelling. In addition, your doctor will prescribe pain medication, which should be taken as directed. Patients are also advised to favor the extraction area and modify their diet for a few days to allow for healing. 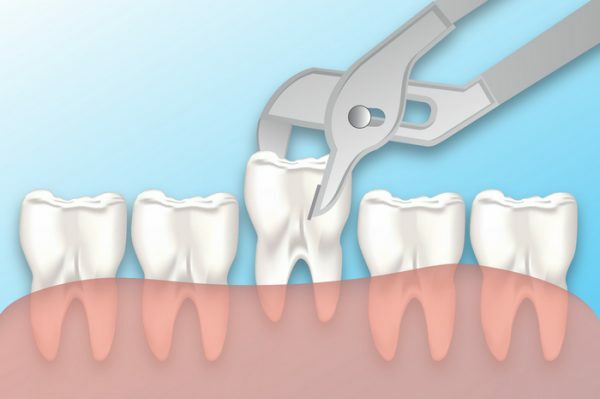 The removal of one or two teeth is a simple procedure. Extracting multiple teeth requires that the jawbone be shaped and removed to prepare for a denture. You may experience the following after a multiple tooth extraction procedure. Within two days, you will experience the maximum swelling both inside the mouth and possibly around the eye as well. The area around your eye may also become discolored, which may be alleviated by a warm compress. The muscles near the extraction site may become sore after surgery, causing a sore throat. This is normal as well as the corners of your mouth becoming dry and cracked from being stretched open during surgery. In most cases, you will have a follow up appointment with your dentist within 48 hours after surgery to discuss any post surgery symptoms that you are experiencing. When You are missing ONE tooth, don’t worry, the replacement will be easy, functional and beautiful! When a couple of teeth are missing, we can insert implants for every single missing tooth, or we can offer a bridge to replace three, four, five teeth with two implants on each side. -One, two and four implant retained dentures. Everyone knows that a balanced nutritious diet is essential for healthy living. However, did you know beyond the recommended apples and celery that your food choices play an important role in preventing tooth decay and gum disease.